[Update] These Nikon D850 Bundles are Guaranteed Shipping Before September 11th ! Update: Nikon D850 Free Accessories Bundle Shows In Stock at BeachCamera via Amazon. Due to high demand of Nikon D850 DSLR cameras (B&H/Amazon/Adorama), Nikon issued a press release for unable to shipping all currently D850 pre-orders on September 7th, so usually you need wait several months before D850 back in stock and shipping again. Author adminPosted on August 30, 2017 August 31, 2017 Categories Nikon D850 Deals & Cheapest PriceTags Nikon D850 In Stock / Availability Tracker, ShippingLeave a comment on [Update] These Nikon D850 Bundles are Guaranteed Shipping Before September 11th ! 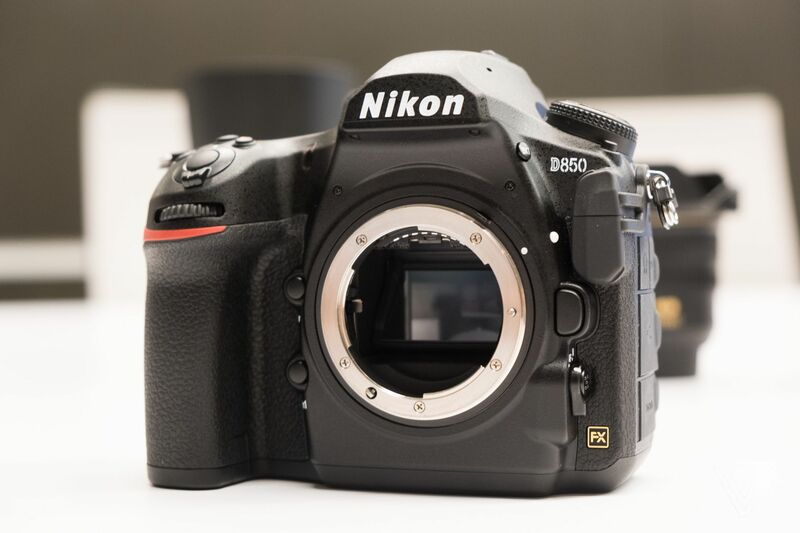 First high ISO comparison for new announced Nikon D850 DSLR camera (B&H/Amazon/Adorama) with D810 now already available online. Foto-info.si now published high ISO samples for D850 Vs. D810. Along with the brochure of Nikon D850, Nikon USA also posted a pdf about comparison of Nikon D850 and Nikon D810 on features and specs. First batch of Nikon D850 is already sold out, you need wait more time of get your Nikon D850 if you pre-order now at B&H/Amazon/Adorama . According to Nikon, First batch of Nikon D850 DSLR camera (B&H/Amazon/Adorama) will be shipping on September 8th, 2017. 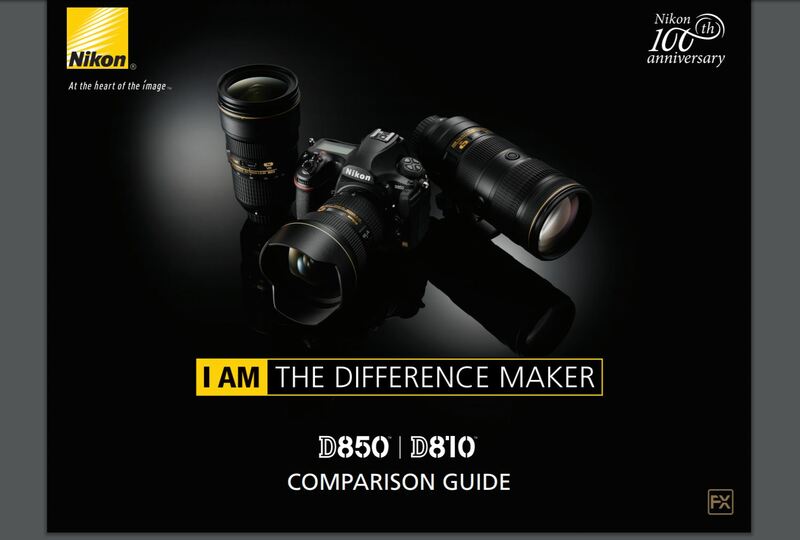 Today, Nikon Japan has posted a press release that currently D850 pre-orders will be shipping later than September 8th because of the large amount of pre-orders. 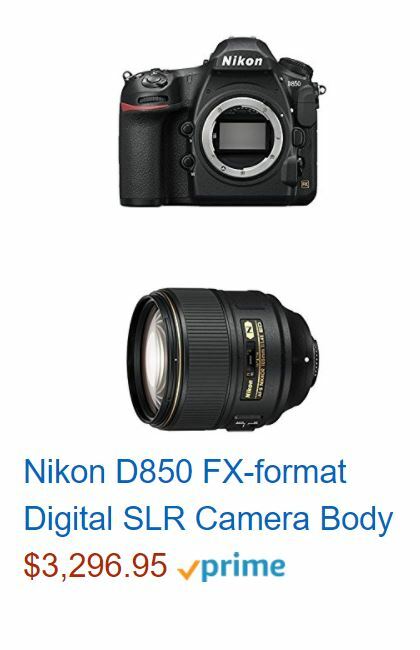 You Can’t Pre-order “Nikon D850 Body” at Amazon US Now ! Update: Amazon US has updated the D850 link now. 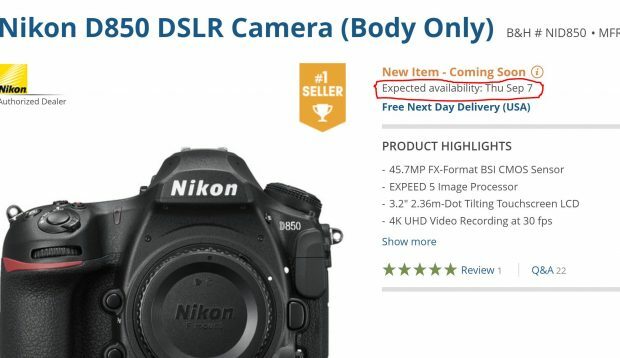 Amazon US currently has has wrong listing for the new announced Nikon D850 DSLR camera on their website. Author adminPosted on August 27, 2017 August 28, 2017 Categories Nikon D850 Deals & Cheapest PriceTags AmazonLeave a comment on You Can’t Pre-order “Nikon D850 Body” at Amazon US Now ! 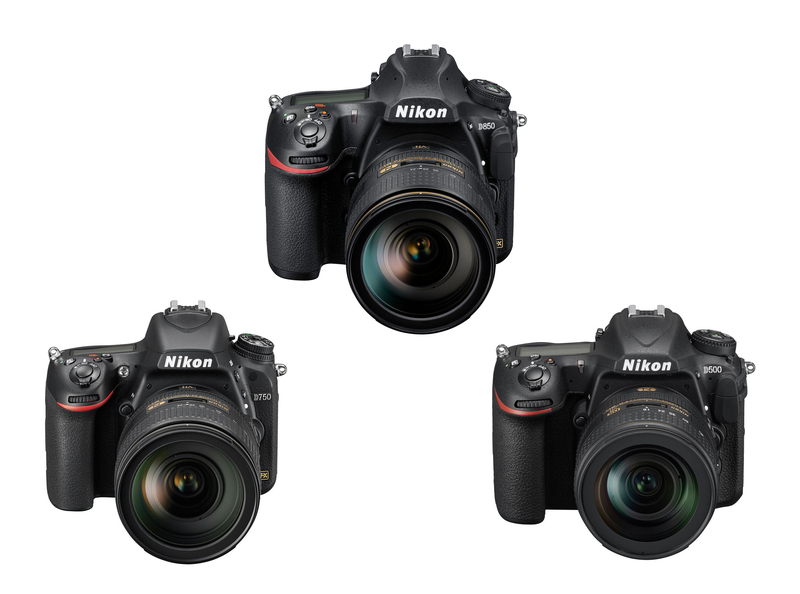 Here is a quick specs comparison for new announced Nikon D850 (Amazon/B&H/Adorama) with best selling Nikon D750 (Amazon | B&H | Adorama) and D500 (Amazon | B&H | Adorama) DSLR cameras. Current price for D850 body is $3,296.95, D750 body is $1,796.95, D500 body is $1,896.95. 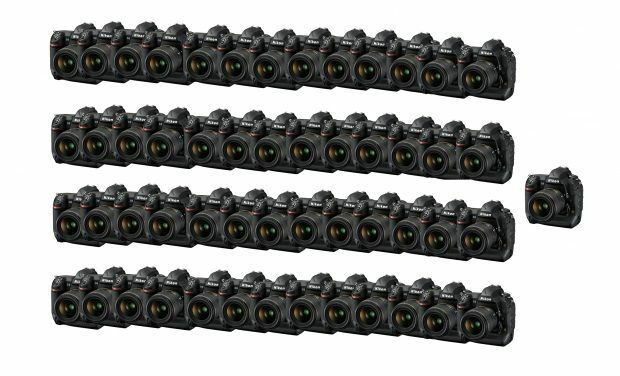 According to Nikon’s press release, NASA has just ordered 53 Nikon D5 DSLR cameras (Amazon | B&H | Adorama) with no special hardware modifications. NASA said that they will use Nikon D5 cameras both at astronaut training facilities on Earth, and for recording intra- and extravehicular activities at the International Space Station (ISS). 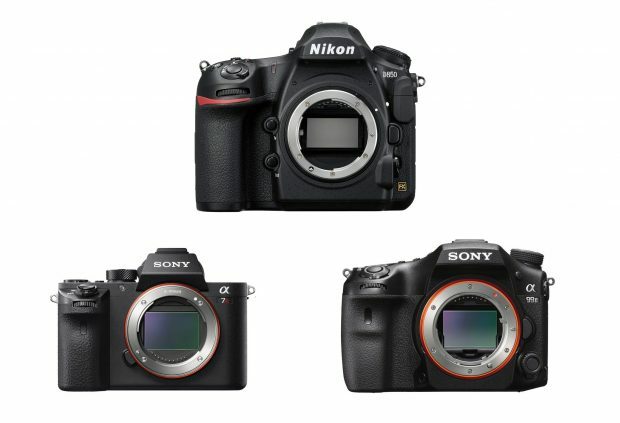 Here is quick specs comparison for the new announced Nikon D850 (Amazon/B&H/Adorama) and Sony a7RII (Amazon/B&H/Adorama) and Sony a99II (Amazon/B&H/Adorama). The US price for Nikon D850 body is $3,296.95, will be shipping on September 7th, 2017. See also: D850 Vs. 5D Mark IV Vs. D810 and D850 Vs. D750 Vs. D500. 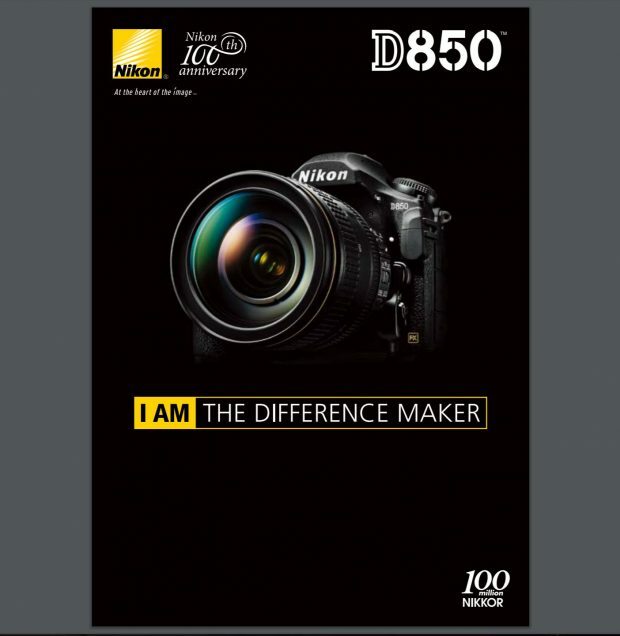 The brochure for new Nikon D850 (Amazon/B&H/Adorama/Wex Photo/Jessops) now already available for download online. This brochure includes 90 pages, with plenty of useful information about Nikon D850 DSLR camera. Nikon USA authorized dealer B&H Photo Video and Adorama both said they will start shipping new Nikon D850 DSLR camera on September 7th, 2017. Amazon has updated the release date yet, but it is likely shipping in early September too.